The Miami Mirror is the epitome of functional art. 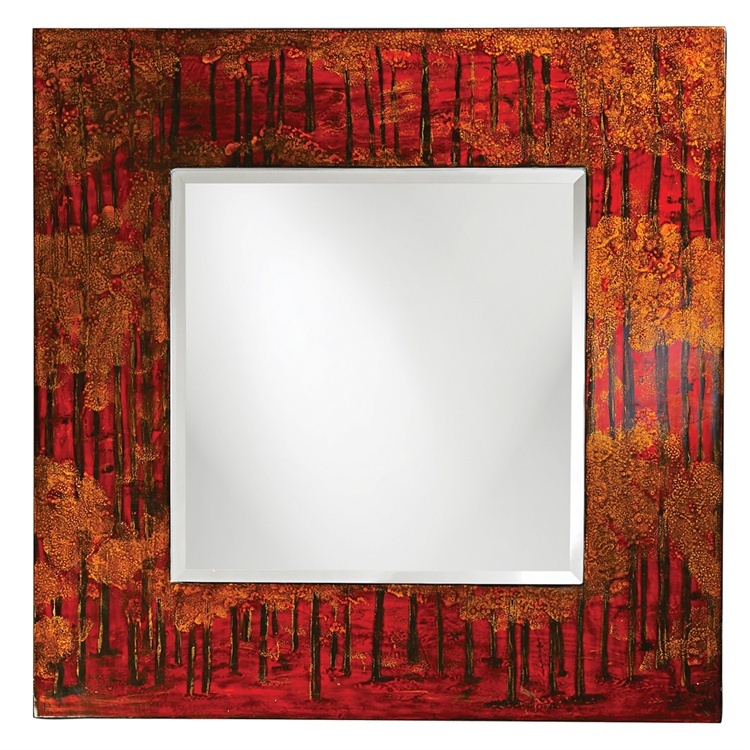 It features a square wood frame that is painted in a vivid red lacquer. On top of that is bold drips of black lacquer running down the frame. Then on top of that are sponged gold leaves. All together, the piece takes on the look of a very abstract autumn forest. Each piece is hand finished ensuring that no two are exactly alike! The Miami Mirror is a perfect accent piece for any design. The mirrored glass on this piece has a bevel adding to its beauty and style. Customizable for larger orders.